Eddie Doyle has been appointed to the new role of Commissioning Editor for RTÉ Two, following an internal competition. The role involves commissioning programming for RTÉ Two’s prime time schedule and working collaboratively with the Commissioning Editors of specialist output to the channel. Mr Doyle’s new role means he will move on from his current position as Commissioning Editor for Entertainment & Music. The newly created role will see Mr Doyle working collaboratively alongside the commisioning execs in the areas of acquisitions, sport and news for RTÉ Two with a view to driving the development of the channel and building a cohesive channel identity. 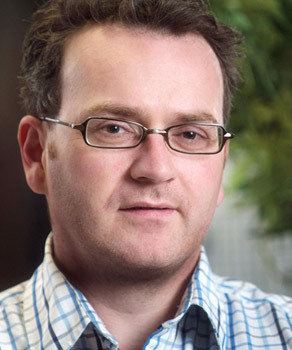 Doyle has worked in RTÉ since 1999, initially in News & Current Affairs producing ‘Prime Time’ and then Executive producing ‘Prime Time Investigates’. In 2006, he moved to the Assistant Commissioning role for Factual programming in Television, and was appointed Commissioning Editor for Entertainment & Music in 2007. In this role he commissioned Entertainment series such as ‘Do the Right Thing’, ‘Livin with Lucy’ and the recent successful series, ‘Mrs Brown’s Boys’. Prior to his work in RTÉ, Eddie worked in the independent production sector in Ireland, and the UK. He produced and directed programming across many genres including: chat shows; sport; factual entertainment; lifestyle; comedy; event programming; international formats and music for broadcasters including BBC, Channel 4 and ITV. Before this, he was a print journalist working freelance and with the Sunday Business Post. He holds a degree in Law from Trinity College Dublin and an MA in Journalism from DCU and is married with two children. It has not yet been confirmed how or by whom Mr Doyle’s former role of Commissioning Editor for Entertainment & Music is to be filled.